Understanding the origins of political ideology and political extremity at the individual level is becoming increasingly pressing in the face of polarization in the political domain. Building upon the motivated social cognition model of political ideology, we propose a motivated cognition approach to the study of political extremity with the need to evaluate as a key epistemic motive that contributes to political extremity. Moreover, we hypothesize that the link between the need to evaluate and political extremity may rest largely on shared genetic effects. This hypothesis builds upon existing biology and politics research, which has convincingly demonstrated that genes influence the direction of ideology, but has been largely silent on the role of genes in political extremity. To test our hypothesis, we consider several types of ideological, affective, and partisan extremity alongside conventional measures of political ideology and the need to evaluate in a behavioral genetic framework. 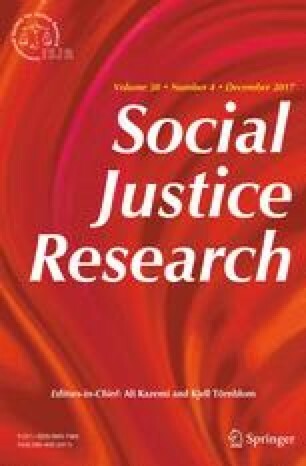 Using a twin study methodology, we show for the first that the need to evaluate is heritable, that its phenotypic relationships with ideological extremity and strength are rooted in shared genetic influences, and, unexpectedly, that the relationship between the need to evaluate and some forms of political extremity is largely environmental. In examining the genetic and environmental components of the covariation of the need to evaluate with political ideology and right wing authoritarianism, we find limited support for shared genetic influences. Taken together, these results illustrate the value of adopting a biologically informed motivated cognition approach to the study of political ideology and political extremity. The online version of this article (doi: 10.1007/s11211-017-0292-3) contains supplementary material, which is available to authorized users. This study was funded, in part, by the Rice Social Science Research Institute. The remainder of the study was crowd-funded through the SciFund Challenge. Aleksander Ksiazkiewicz declares that he has no conflict of interest. Robert F. Krueger declares that he has no conflict of interest. Bakker, B. N., & Lelkes, Y. (2016). Selling ourselves short? How abbreviated measures of personality change the way think about personality and politics. Working paper. Retrieved from http://www.bertbakker.com/wp-content/uploads/2015/01/Bakker_Lelkes_SellingOurselvesShort-1.pdf. Feldman, S. (2013). Political ideology. In L. Huddy, D.O. Sears, & J.S. Levy (Eds. ), The Oxford handbook of political psychology. New York: Oxford University Press. doi: 10.1093/oxfordhb/9780199760107.013.0019. Stoker, L., & Bass, J. (2013). Political socialization: Ongoing questions and new directions. In G. C. Edwards, L. R. Jacobs, & R. Y. Shapiro (Eds. ), The Oxford handbook of American public opinion and the media. New York: Oxford University Press. doi: 10.1093/oxfordhb/9780199545636.003.0028.